This is a great layout featuring my mom and grandmother. It was a beautiful sunshiny day and blistery cold!! They came to support my daughter as she was a cheerleader last year. Love that they were both smiling regardless of how cold it was. We drank plenty of hot chocolate. I used the Artbooking cricut cart for the Frosty Fun title. 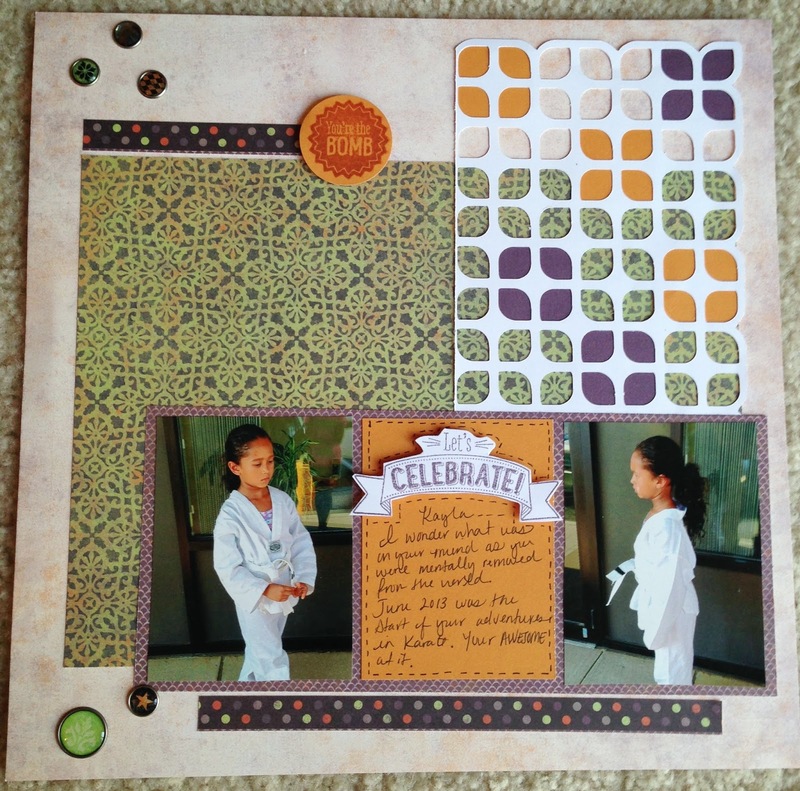 I used the Pemberly WOTG stamp for the sentiment and image in the journaling block. I colored n the flower using the CTMH Watercolor pencils. The paper used was Skylark along with Juniper and Colonial White card stock. These are in the moment photos. My daughter didn't even know I took them. I have no clue what she was thinking about. Her mind was in another place. I used Moonlight (retired) paper pack along with White Daisy card stock. The "Let's Celebrate" and "Your the Bomb" sentiments come from the June stamp of the month Kaboom!! It is a really cute set you can get for $5.00 with a $50.00 purchase during the month of June.....CLICK HERE to shop with me!! I also used the Artbooking cart to cut the overlay and used colored card stock square behind it. 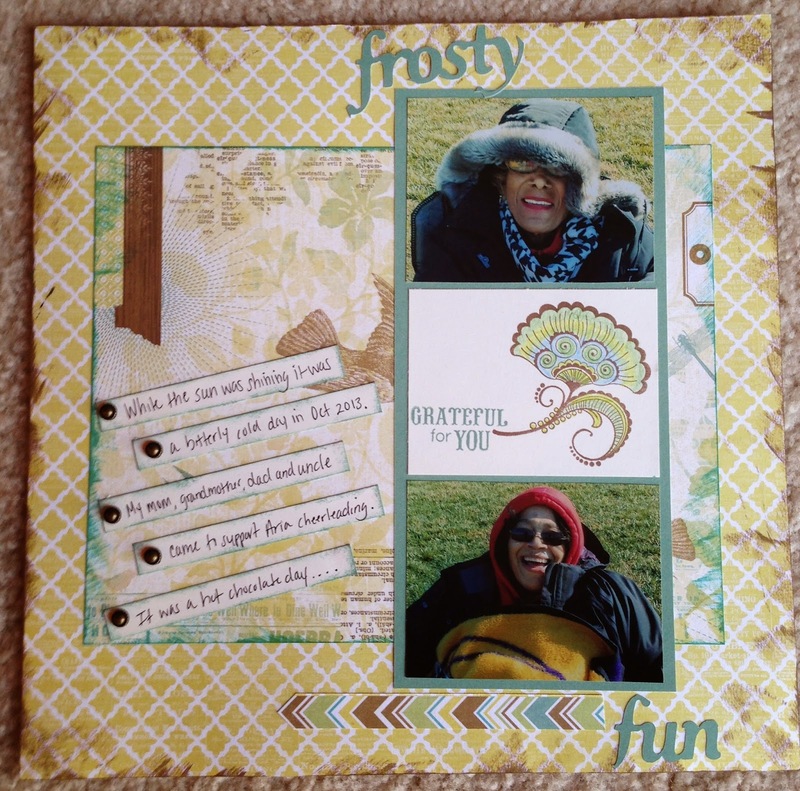 Great layouts! I love the way you use overlays. I am truly a "sketches" girl and often use them as the starting point for my layouts.